Practice adding and subtracting decimals by having students create a class game of monopoly! 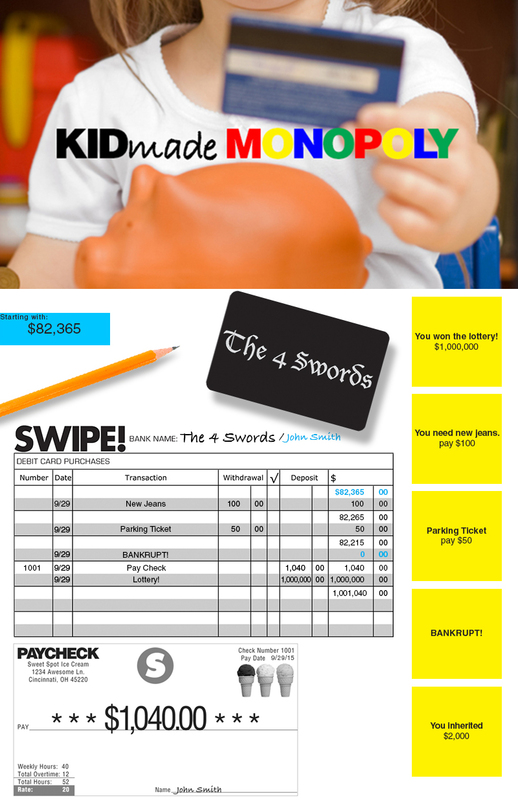 Kids design a debit card and balance a checkbook. Check out my post at We Are Teachers! Free printables are included.